A testimonial from Andrea and Chris who worked with Cynthia to improve their parenting effectiveness for 3 months. I just wanted to thank you for helping Chris and I communicate better with our kids. Instead of nagging them over and over, we have found better ways to communicate more effectively to get cooperation. We have learned to think before we speak using the think-feel-do cycle and there’s a lot less raising of voices around the house, which has made for much more pleasant interactions. We have also implemented family meetings and our children feel more connected at home and they are slowly learning the importance of their role in contributing to the household. It has become an important part of our family routine that we all look forward to spending together. We know we will have some unexpected situations thrown our way, but we feel we have the tools to deal with the unexpected down the road because of what we’ve learned from you. We especially appreciate the time you take to offer suggestions to the different situations that we email to you. After reflecting on those interactions, I realize that several situations repeat themselves and if I am conscious or not escalating the situation, we can get more cooperation from our son, the typical teen that wants to be independent and not told what to do! Thank you, again, for a great three months of learning! Your book and accompanying notebook will be a constant source of reference for our most challenging parenting situations! ©2017 Cynthia Klein, Bridges 2 Understanding, has been a Family Success Coach since 1994. She works with parents and organizations who want more cooperation, mutual respect and understanding between adults and children. 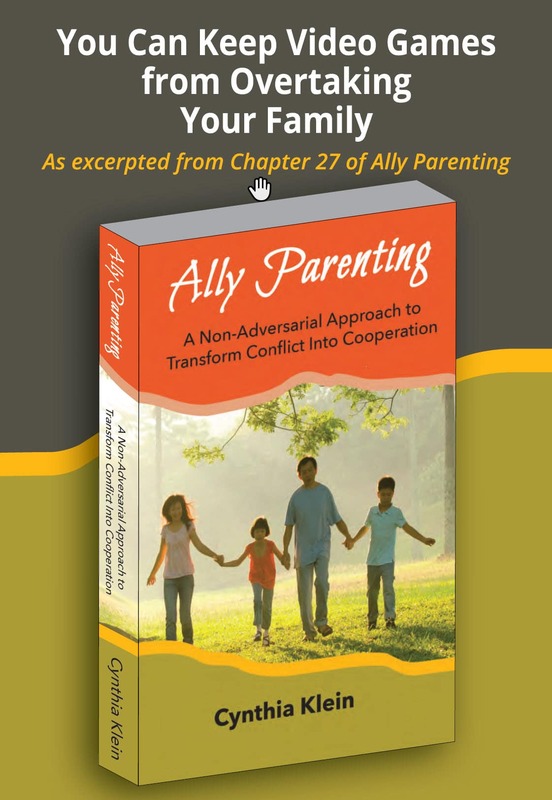 Cynthia presents her expertise through speaking, private parenting coaching sessions, and her book, Ally Parenting: A Non-Adversarial Approach to Transform Conflict Into Cooperation. She works with parents of 5 – 25 year-old children. To learn how Cynthia can help you solve your specific challenges, contact Cynthia at bridges2understa.wpstagecoach.com, [email protected], or 650. 679.8138 to have a complementary 45-minute discovery session. Why keep suffering? It’s time to change!